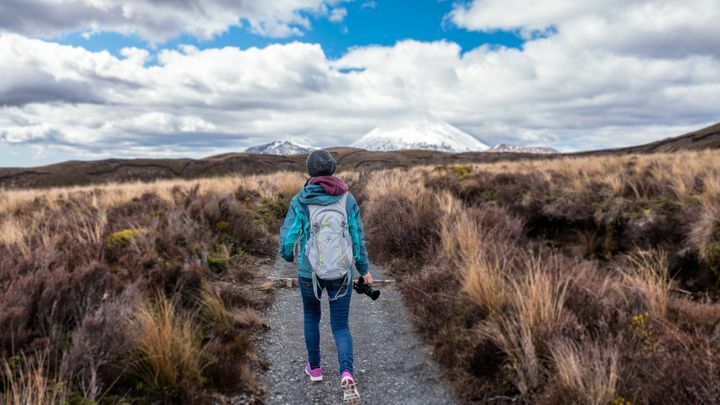 Winter or summer, the tracks of the Tongariro Alpine Crossing are alive with keen hikers looking to tick the experience off their bucket list. If you’re considering doing the Tongariro Alpine Crossing, you’re likely to have some burning questions about the course. We’ve compiled 10 of the top Tongariro Alpine Crossing FAQs. Look no further – the answers are all here. How long does the Tongariro Alpine Crossing take? This is one of the most common Tongariro Alpine Crossing FAQs. The Tongariro Alpine Crossing is 19.4km long but the amount of time it takes you to complete the trek will depend on the conditions. In summer, the trek typically takes around six hours. The tracks are dry and free of slippery snow and ice at this time of year, making the course much easier to navigate. Winter, however, presents a few more challenges which extend the time it takes to complete the trek. 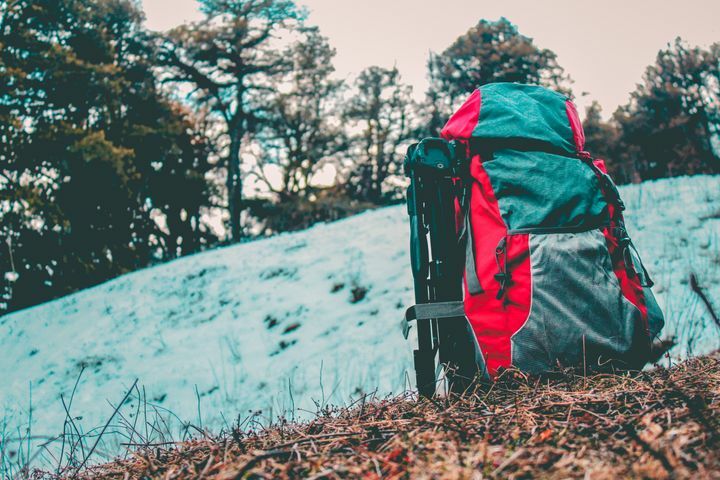 Not only are the tracks covered in snow, but trekkers must also carry more equipment such as ice axes and crampons. For this reason, it takes around eight hours to complete the Tongariro Alpine Crossing in winter. Where does the course start and finish? The Tongariro Alpine Crossing starts at the Mangatepopo car park and ends at Katetahi car park. When you stay at this time of the year, you won’t need to worry about getting to and from these spots. We offer a shuttle service that takes guests to the starting point, as well as collecting them at the end of the trek and bringing them back to The Park Hotel. How do I prepare ahead? Although it’s very achievable, the Tongariro Alpine Crossing is no walk in the park. There are a number of things that you’ll need to do to prepare for the trek, which makes this one of the most important Tongariro Alpine Crossing FAQs to answer. First of all, ensure you have a reasonable level of fitness. You want to be able to enjoy the trek, not struggle your way through. Also, you will be trekking in a volcanic territory. Prepare for this by checking for any recent volcanic activity online prior to your walk. It’s also vital that you know what to do should there be a spontaneous eruption. Be aware of weather conditions in both winter and summer. This is an alpine climate and the weather can turn quickly. Have the right equipment packed for all scenarios. In winter, the snow also presents an avalanche risk. For this reason, the Tongariro Alpine Crossing can only be attempted with a guide in winter months. Check for avalanche forecasts at www.avalanche.net.nz and ensure you are fully aware of what to do in this situation. Do I have to go with a guide? From October through to May, the Tongariro Alpine Crossing is open to anyone wishing to tackle the trek. But outside of these months, yes, you will need to go with a guide. Winter throws a few extra hazards in the mix that an expert guide is trained to deal with. The snow, ice and possibility of avalanche are reason enough to need a guide. But the extra equipment needed also means it takes longer to complete the trek. The guide is there to ensure your safety. Can I climb Mt Ngauruhoe? You can climb Mt Ngauruhoe as part of the Tongariro Alpine Crossing. This will raise the height of the trek to 2287 metres. A poled route marks the track to the summit. You cannot climb Mt Ngauruhoe in the winter without an experienced guide and advanced hiking ability. Can anyone do the Tongariro Alpine Crossing? Yes. Anyone can attempt the Tongariro Alpine Crossing whether it’s solo in the summer or guided in the winter. However, trekkers will need to exercise a little common sense once they are aware of the length and ascent of the walk. To avoid getting into trouble on the tracks, you must have a reasonable level of fitness and you must be physically capable. How high is the Tongariro Alpine Crossing? The highest point of the Tongariro Alpine Crossing is at the Red Crater at 1886 metres. Once you have reached the Red Crater, you will begin your descent. Is Mount Tongariro an active volcano? Yes. In fact, it has two active vents with eruptions as recent as 2012. And it doesn’t stop there. Both Mount Ngauruhoe and Mount Ruapehu are also active volcanoes. 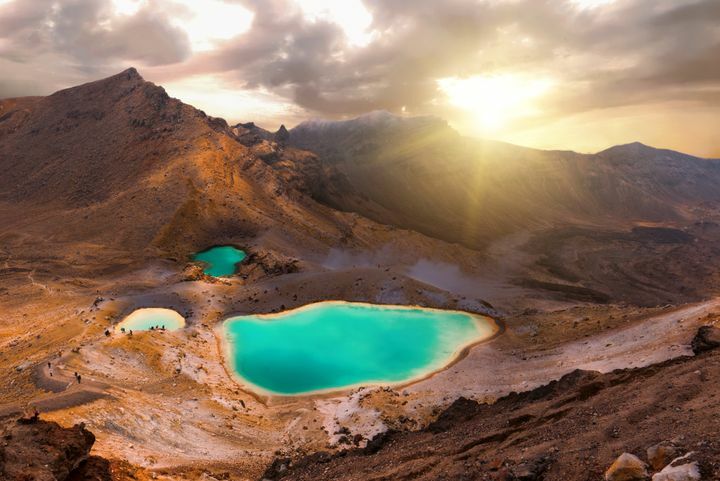 So, as far as volcanic territory goes, you’re stepping right into the heart of it on the Tongariro Alpine Crossing. As long as you’re aware of the signs, you’ve checked any potential risks before you go, and you know what to do in the event of an eruption, you’ll be well-prepared for the trek. What season is best for the Tongariro Alpine Crossing? If you are trying the Tongariro Alpine Crossing for the first time, it’s best to go in the summer. At this time of year, you’ll get a feel for the trek without having to deal with ice and snow. You will also be among like-minded trekkers, giving you safety in numbers. Without the snow, you’ll see vibrant lakes, volcanic alpine shrub, ancient lava flows and sweeping views. We highly recommend going in the summer months for first-time trekkers. If you’ve always wanted to do the Tongariro Alpine Crossing in winter, book with a guide and go right ahead. However, you must be familiar with the use of ice axes and crampons and you must be a very capable hiker. 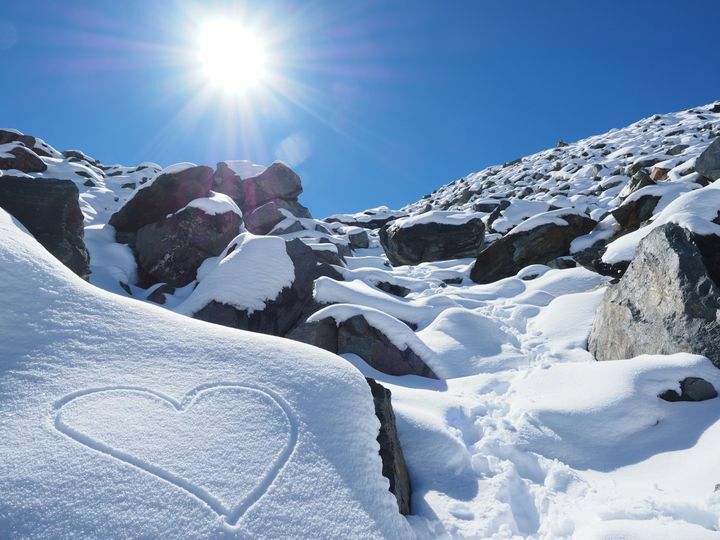 Trekking the Tongariro Crossing in winter is a truly magnificent experience. Blanketed in snow, the mountains look like perfect white peaks. 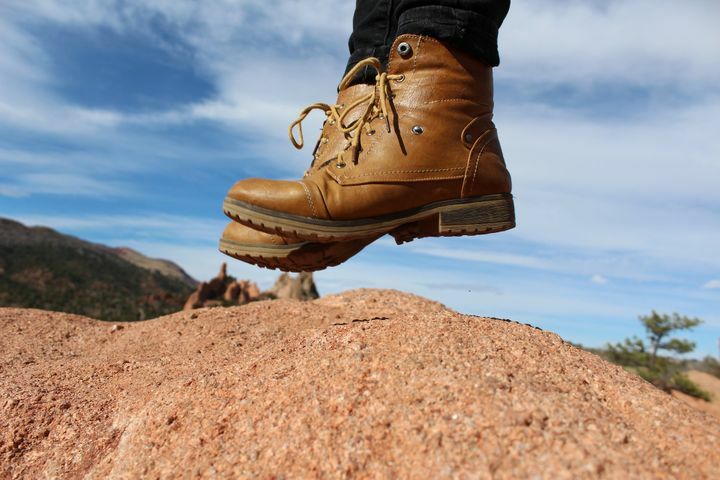 You’ll feel like you’ve climbed to another world. In both winter and summer, we host hundreds of guests who are in Tongariro National Park to trek the Crossing. We are always happy to answer your questions but thought we’d cover the most common Tongariro Alpine Crossing FAQs here. We are quickly approaching the end of the summer season, so if you’re planning a solo trek through the Tongariro Alpine Crossing, you’ll need to get it done before May. We can arrange transport to and from the Crossing. Simply book with us and make planning as easy as possible. We can’t wait to hear all about your adventure!